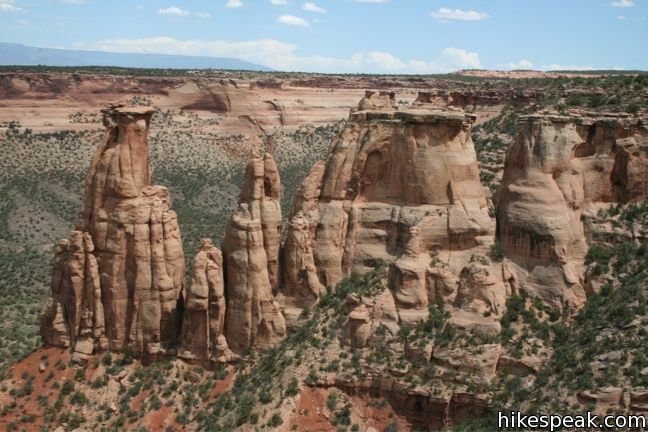 Rim Rock Drive is a 23-mile stretch of road crossing the rugged terrain of Colorado National Monument. 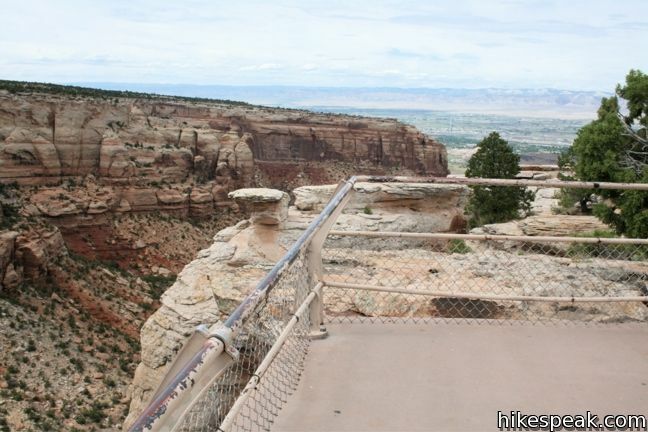 The drive delivers dizzying cliff’s edge views and is a memorable part of any visit to the park. 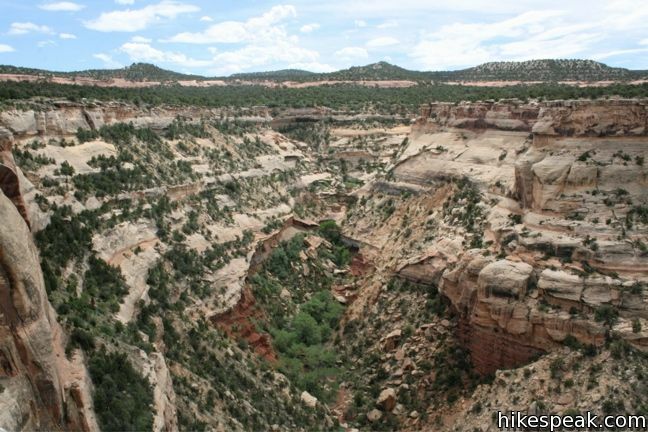 The winding roadway plots an improbable course along the rim of Monument Canyon. 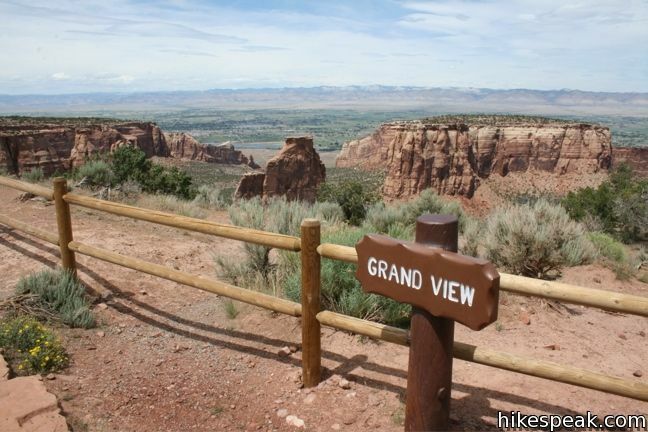 Nineteen overlooks and fourteen trails are along the drive, which is the main artery through the park. 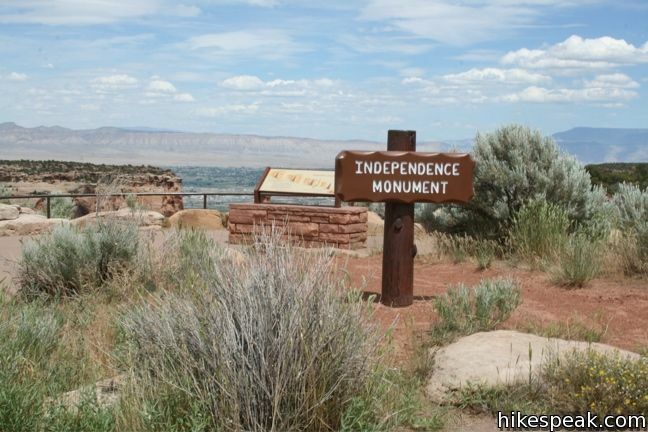 Rim Rock Drive was built in the 1930s by the Civilian Conservation Corps as a Public Works Project and has since been designated a historic district. 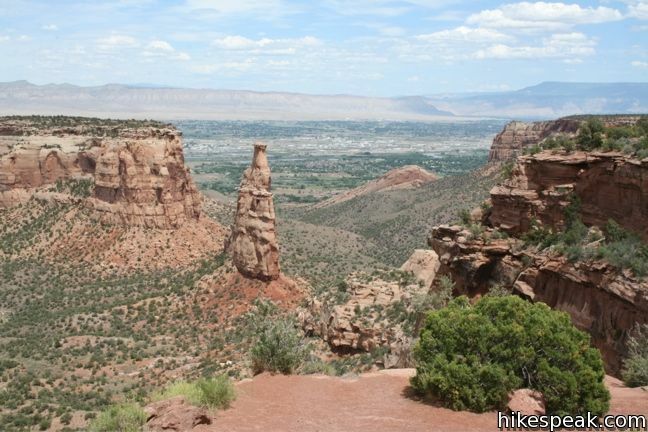 Rim Rock Drive is impressively engineered, melded with the landscape in a very unobtrusive way while providing visitors with unforgettable views right from their bike or car. 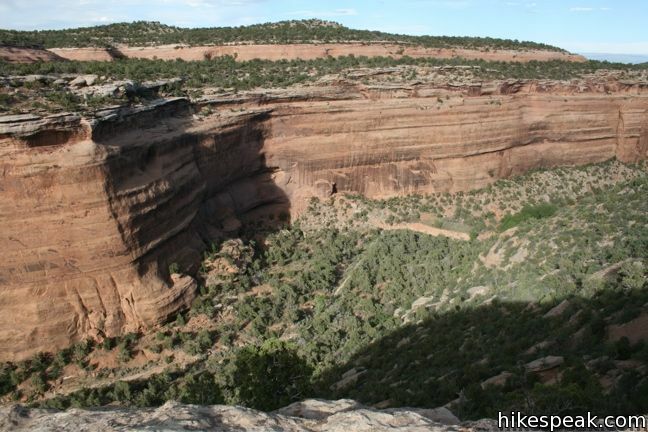 Starting from the west entrance, at the north end of the park near Fruita, the road passes Balanced Rock and ascends through two tunnels on a winding course to the top of the bluffs. 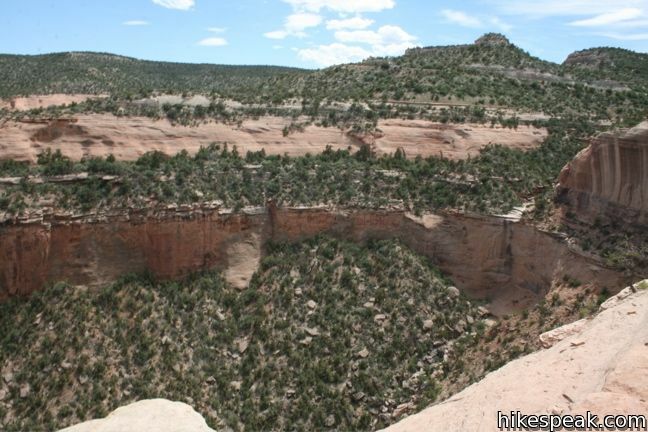 Afterward, Rim Rock Drive is fairly level, but there is nearly 2,000 feet of elevation between the top and bottom of the road. 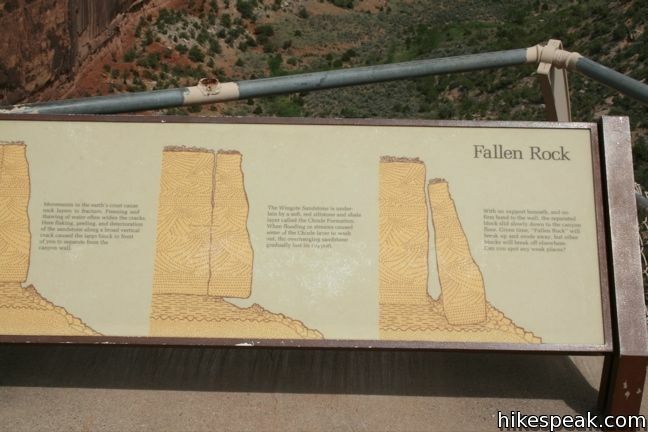 Rim Rock Drive passes the park visitor center and progresses south along the rim of Monument Canyon, passing several viewpoints and trailheads. 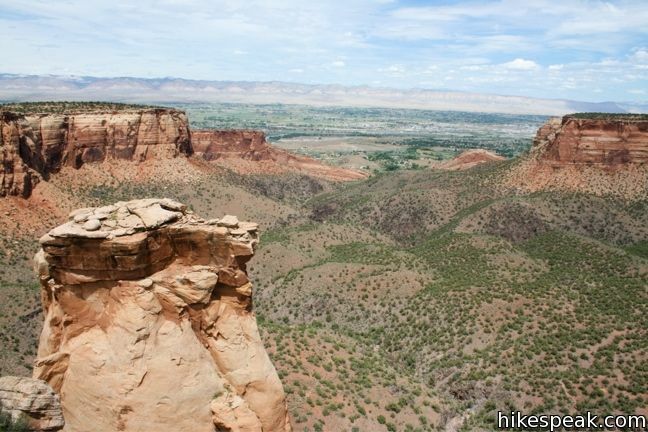 A mile south of Saddlehorn Visitor Center is Otto’s Trail, an easy 0.75-mile hike to a scenic overlook. 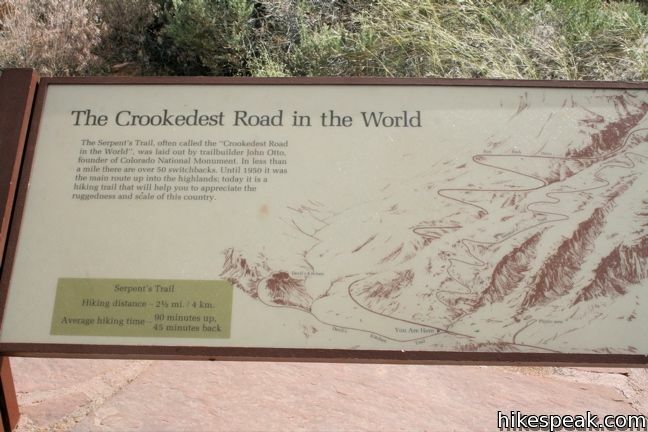 Farther up the road, you don’t even need to put forth that much effort to see great views. 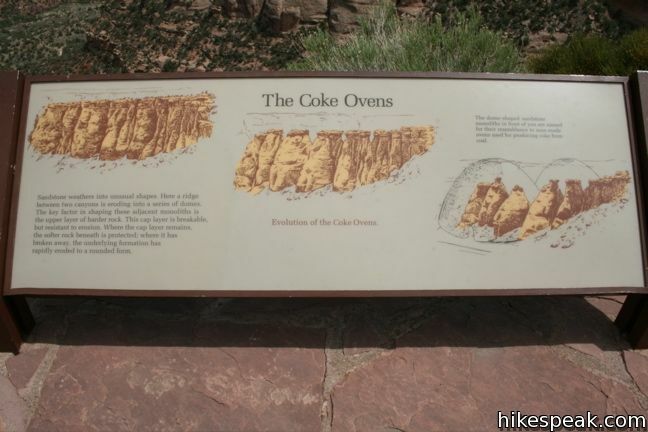 Those can be found from any of the following turnouts along Rim Rock Drive: Independence Monument View, Grand View, Artists Point, Highland View, Coke Ovens Overlook, Upper Ute Canyon Overlook, Ute Canyon View, Red Canyon Overlook, and Cold Shivers Point. 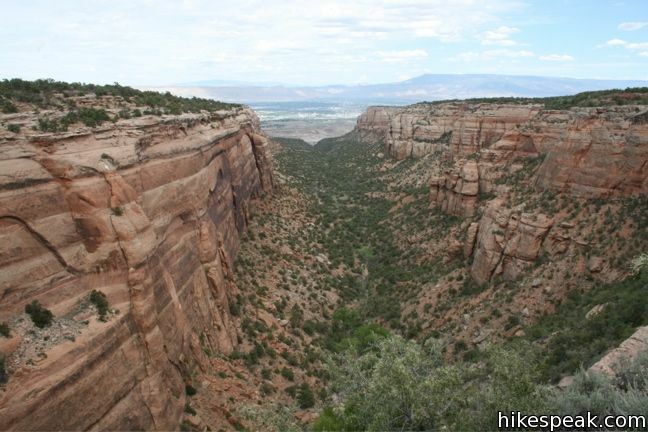 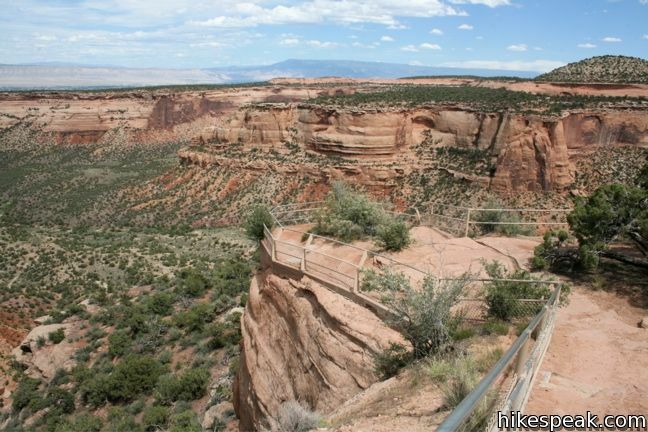 After miles of more level road that is appetizing to casual cyclists, Canyon Rim Drive makes a hairpin descent past Devils Kitchen to the east entrance of the park near Grand Junction. 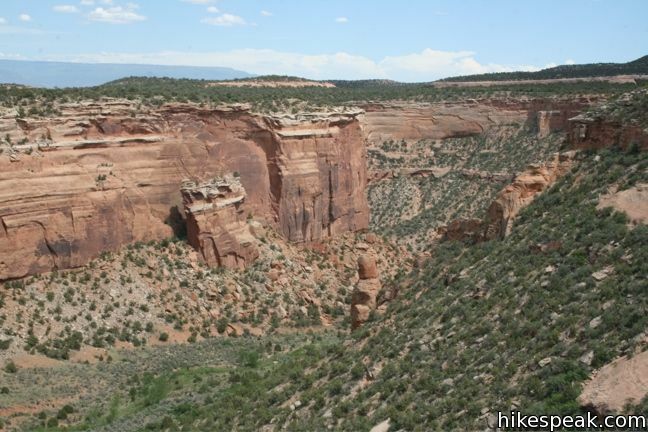 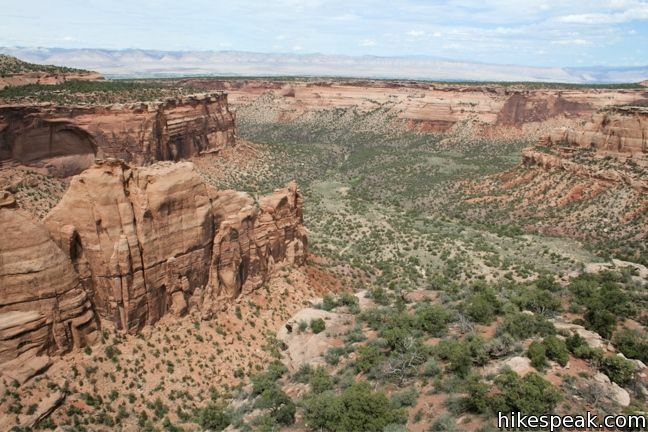 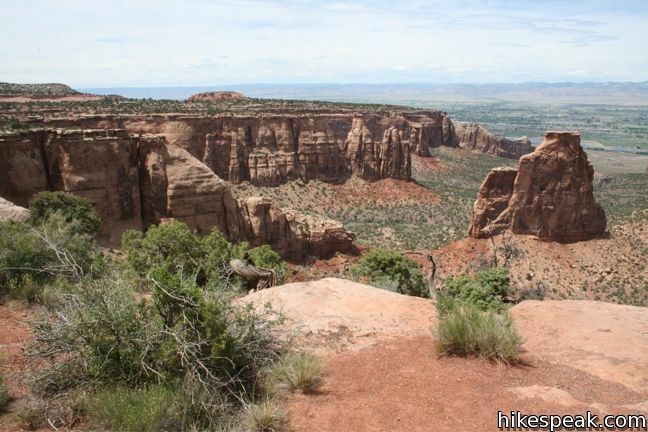 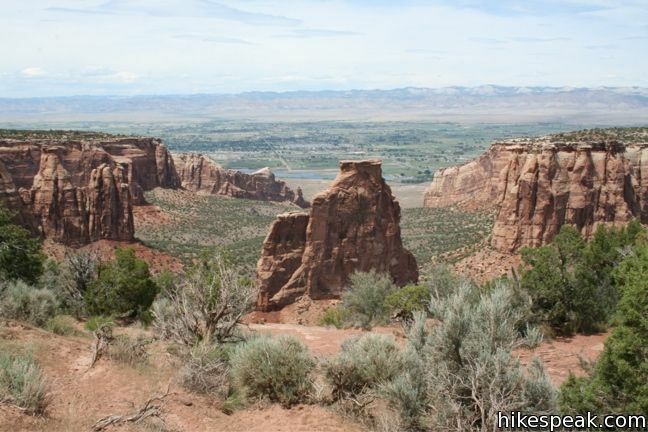 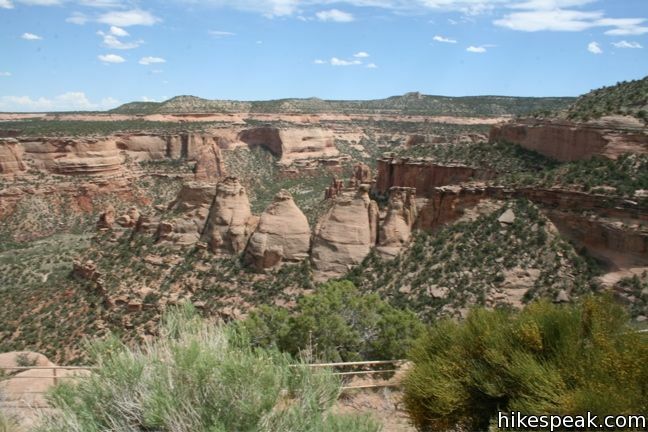 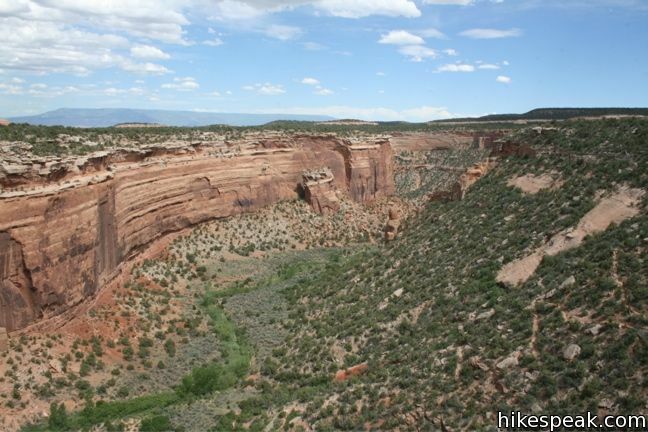 Avid hikers may find it frustrating that some of the best views of Monument Canyon are available right from the road, but the beauty of Colorado National Monument is accessible to all (as long as you have transportation and aren’t frightened by tight winding roads). 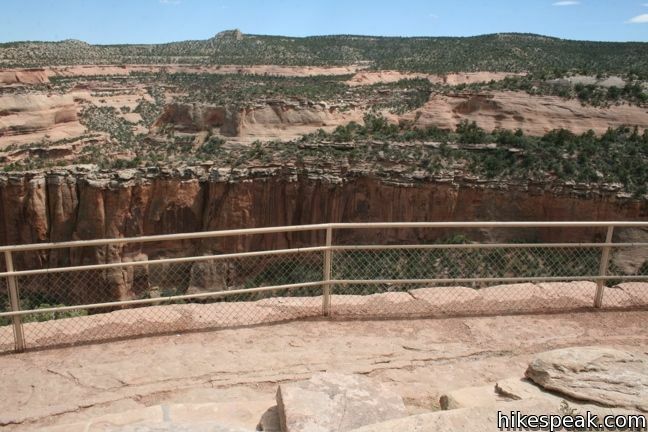 Dedicate a few hours of your visit to touring this drive and exploring the viewpoints. 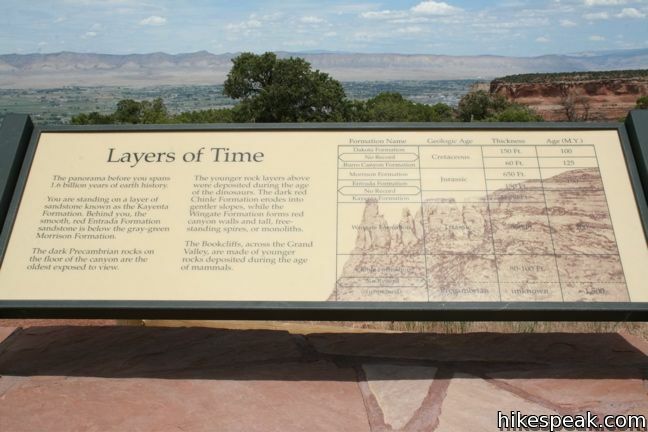 This one-mile round trip hike is less scenic than others in the park, but offers information about area plants, animals, and geology. 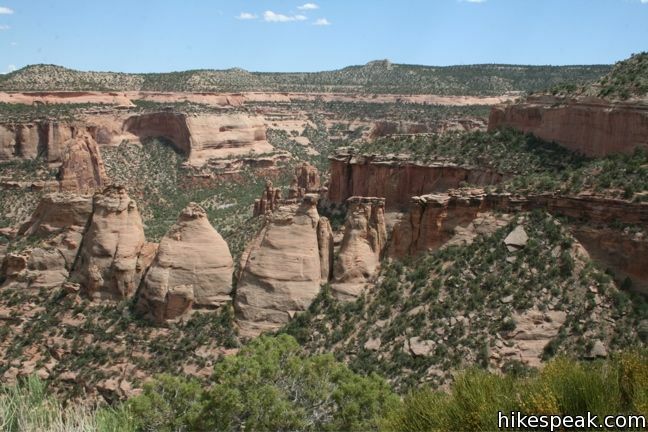 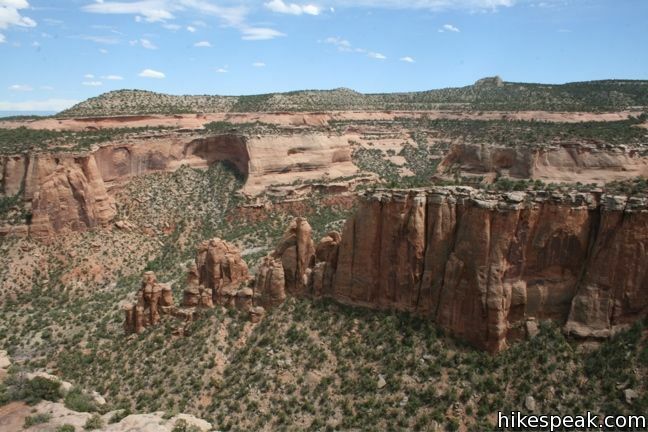 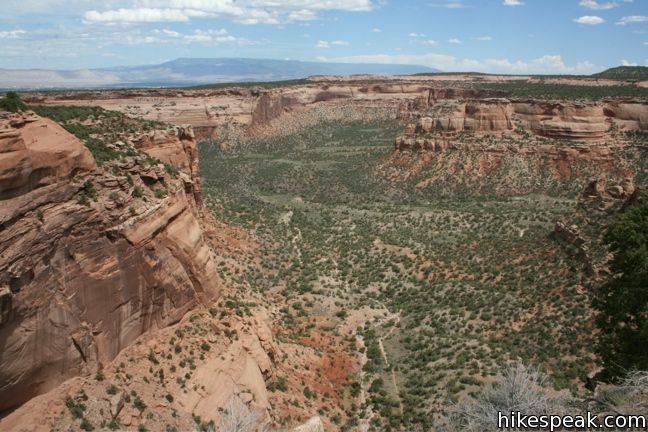 This one-mile hike visits a line of sandstone domes decorating the rim of Monument Canyon. 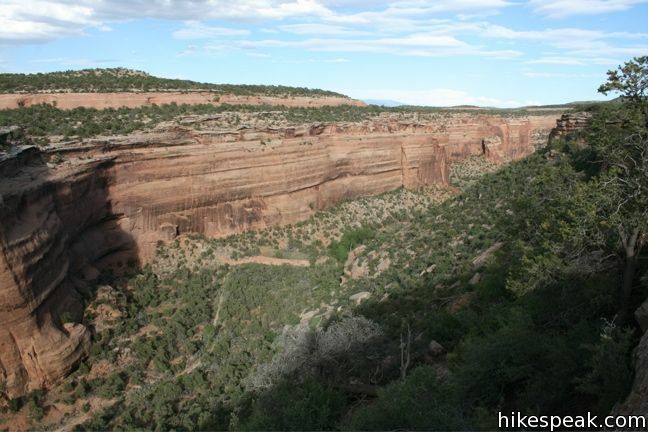 This 1.2 mile hike crosses the bottom of No Thoroughfare canyon to a rock grotto surrounded by tall boulders. 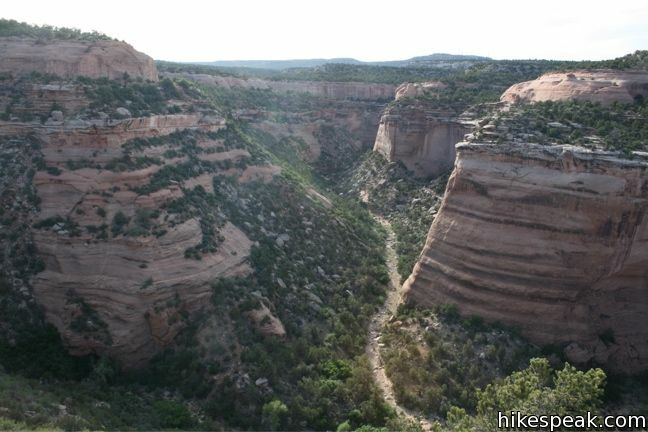 This 7-mile hike travels down into Monument Canyon to visit the tallest freestanding rock formation in the park. 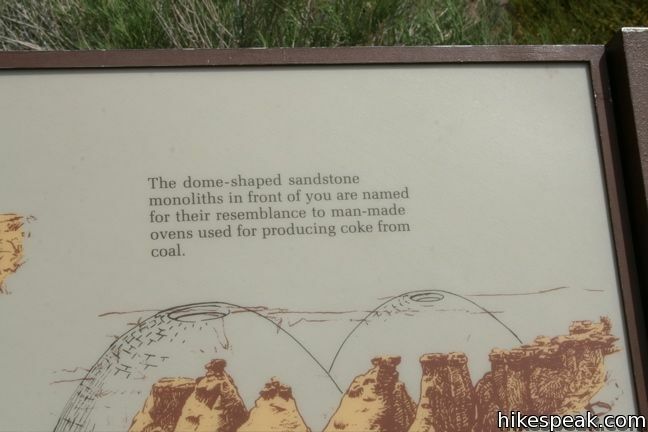 Did this as part of our honeymoon, loved it. 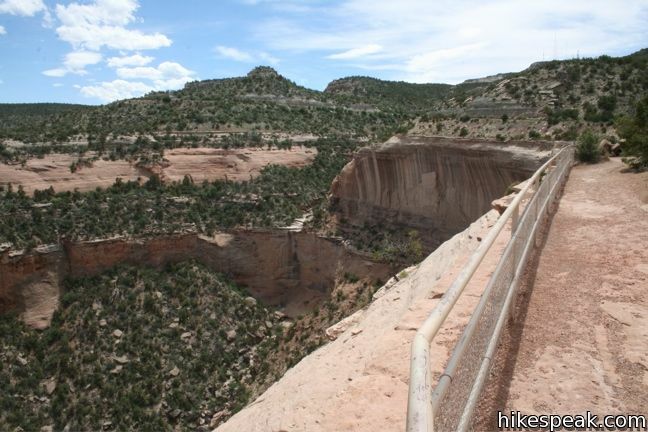 Got rained out of the hikes but it created some awesome waterfalls.